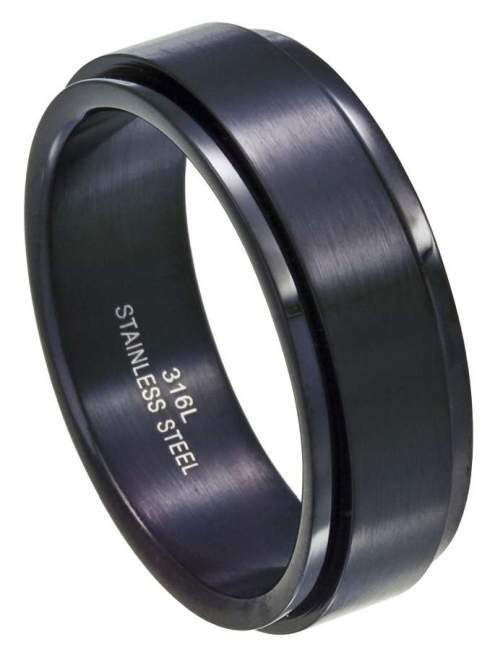 Always rugged and reliable, JustMensRings stainless steel collection is an excellent choice for those seeking affordable yet durable wedding bands and fashion rings. 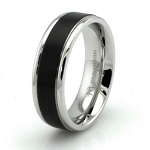 These men's rings are made from the highest quality hypoallergenic 316L surgical steel and are available in men's large sizes (many through size 20). 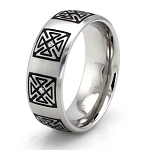 Offering a variety of styles and designs, our stainless steel rings are built to last yet easy to maintain. Excellent quality, fit, and lightning fast delivery. Be advised that this ring is very, very flat, and took a day or two to get used to; but that's an observation. I love the ring, and would recommend JMR to anyone without hesitation.